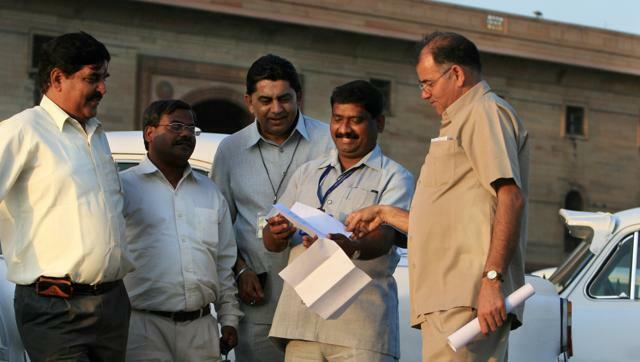 The Seventh Pay Commission on Thursday submitted its report to Union finance minister Arun Jaitley recommending a 16% hike in basic pay of nearly 5 million central government employees. The commission headed by justice AK Mathur also suggested increase in house rent and other allowances that will result in an effective 23.51% increase in salaries of central government employees. The total increase, including the additional outgo on account of pensions, is estimated to be 23.55%. Besides justice Mathur, other members of the commission are Vivek Rae, a retired IAS officer of 1978 batch, and Rathin Roy, an economist. Meena Agarwal is secretary of the commission. The commission was set up by the UPA government in February 2014 to revise the remuneration of about 48 lakh central government employees and 55 lakh pensioners. The central government constitutes the pay commission every 10 years to revise the pay scale of its employees and often these are adopted by states after some modifications. The Sixth Pay Commission was implemented with effect from January 1, 2006. With the economic revival still wobbly, policymakers and economists are keenly watching the fiscal impact of the commission’s payouts to nearly 10 million central government employees and pensioners. The Seventh Pay Commission also recommended One Rank One Pension (OROP) for civilian government employees along the lines of the OROP scheme for the armed forces. The ceiling of gratuity has been proposed to be enhanced from Rs 10 lakh to Rs 20 lakh while it would be raised by 25 per cent whenever the DA rises by 50%. The Cabinet Secretary is proposed to get Rs 2.5 lakh as against being kept in the Rs 90,000 per month pay band currently. Of the financial impact of implementing the recommendations in toto, amounting to Rs 1.02 lakh crore, Rs 73,650 crore would be borne by the central budget and the remaining Rs 28,450 crore by the railway budget.